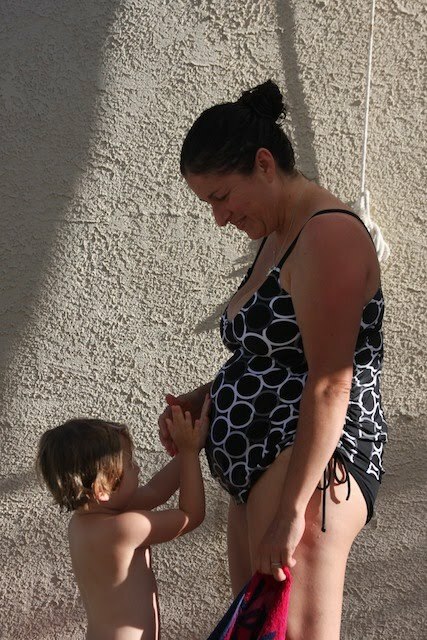 I felt like today we got through a big mile marker in the pregnancy. My doctor does something unique when doing pregnancy checks. You go in one day to do blood work to confirm your at home pregnancy result. If it’s positive you return a few days later within that week to do blood work again which checks if all the hormone and other levels are rising at the right rates. If they are all ok then you don’t go back until you’re about 8-9 weeks along in the pregnancy. This last part I did not know the last time I was pregnant. The last pregnancy, the one that went wrong, I went into see the doctor after my levels came back. I remember one of the levels was double what it should have been. I didn’t think anything of it and the doctor didn’t say anything was wrong. In retrospect I wonder if that was a sign that things didn’t start out ok.
Today felt so long. I called in at 10 am to get my results. They said they wouldn’t be in until 2pm….after I was on hold for a good long while. At 2pm I called and was put on hold for 10 minutes and then they told me the doctor hadn’t seen my results. They said they’d call me back as soon as the doctor told the nurse something. I wondered if that was the truth or if the results were not good and they wanted the doctor to give me the news. At 3:30 I couldn’t take the suspense any longer and I called. The nurse said she was just about to call me to tell me everything was ok and I didn’t need to go back until the end of August. I almost started to cry on the phone. The entire day I kept telling God I have faith in Him. I kept trying to distract myself with P, laundry, a hike and Facebook. I kept trying to visualize me doing my chores around the house with this baby attached to me in a wrap. There is a long way to go between now and the birth of this child. This was the first “gate check” of many to come: the genetic discussion, the ultra sounds, the amnio, etc, etc. But it seems we’re starting on a good note and that was enough for us to go celebrate by having a night out with P.